We are planning on going this Sunday, it will be our first WF visit this year. Loved it last year so can't wait! Thinking about trying the buffet at the Reds HOF Grill. I read somewhere that it is a $5 upcharge for Gold Pass members, is that correct? Is it an all you can eat style buffet or just fill your plate once? Here's hoping for a non capacity packed park on Sunday. Weather is looking unseasonably warm so that will probably bring out a lot of people who would otherwise not venture into the cold. Either way it will be great I'm sure. The buffet at Reds is a $5 upcharge if you have a 2018 dining plan. Yes it is all you can eat. And worth the $5.00 upcharge in my opinion. The only critique I would have there is the cookies. They hand them out in bags. At least they were on Friday last week. I was expecting some homemade cookies on the buffet, not a bag of frozen cookies. Homemade cookies at an amusement park? Whose home were you expecting they be cooked in? @VortexBFForever’s? @BoddaH1994 what are your thoughts on $5 upcharge buffet at Reds? Turkey was decent, didn’t try the ham (ham is gross. Change my mind. ), stuffing was on point, mash potatoes were excellent, green bean casserole wasn’t bad, rolls were dry and flat. Some reviews on FB were saying the food was slow to come out, and I can see where that comes from. Over all good experience. Well worth the $5 upcharge. So the meal plan upcharges have you blessing now? Good to know. The trick is to eat enough that they lose the $5 on you. In all seriousness, I still stand by my past opinion. Upcharging for a buffet (especially small amounts) seems fair. My concern was what CP tried to pull: CFA, Panda, etc being an upcharge for no reason that should be of concern to you as a consumer. I think the message was successfully sent that those types of upcharges are unacceptable... for now. I take pride in being a Buffet Buster. Will the Eiffel Tower be closed during WinterFest? I am still waiting for a tiered dining program. Example Subway is tier one and LaRosa and Skyline would be a gold upgrade. So you're hoping for more upcharge? You sir are a true blue Kings Island supporter. I don’t think that’s what he meant. No disrespect meant towards local tastes but I would put Subway 3 or 4 tiers above either of those. So...I guess I am with you on that. 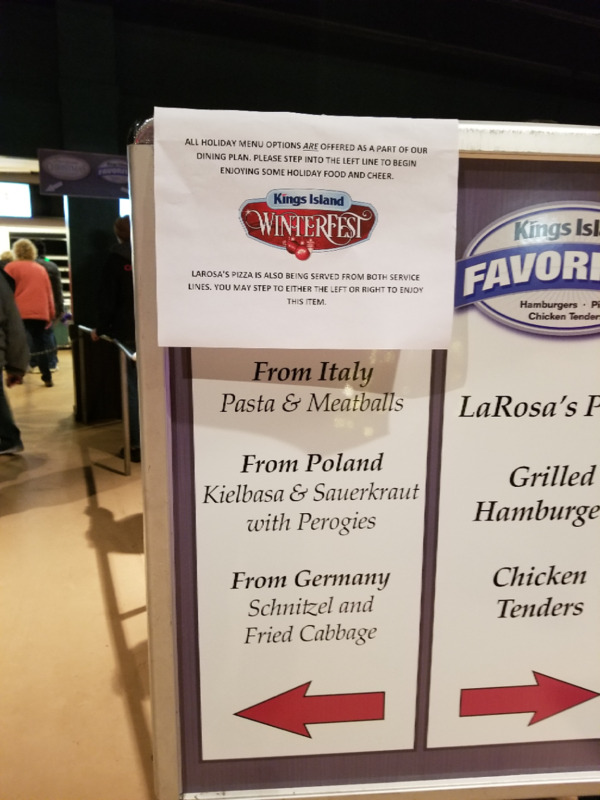 I went to Winterfest twice last year and both times the buffet was sold out online due to a company buyout so never got to try. Anyone who has had both the International Street Restaurant Buffet and the new one at Reds is it the same food? I don't have a dining plan so if I'm paying $25 I'd at least rather have the view from the International Street Restaurant lol. I saw tonight that is where the Igloos are located. The International Restaurant has a different, more upscale menu than the Red's Grill. From memory the Red's Grill has Turkey, ham, stuffing, sweet potato casserole, green bean casserole, breads and that's all I can remember at the moment (Bodda may remember more). As for the International restaurant below is a pic I took of the menu. 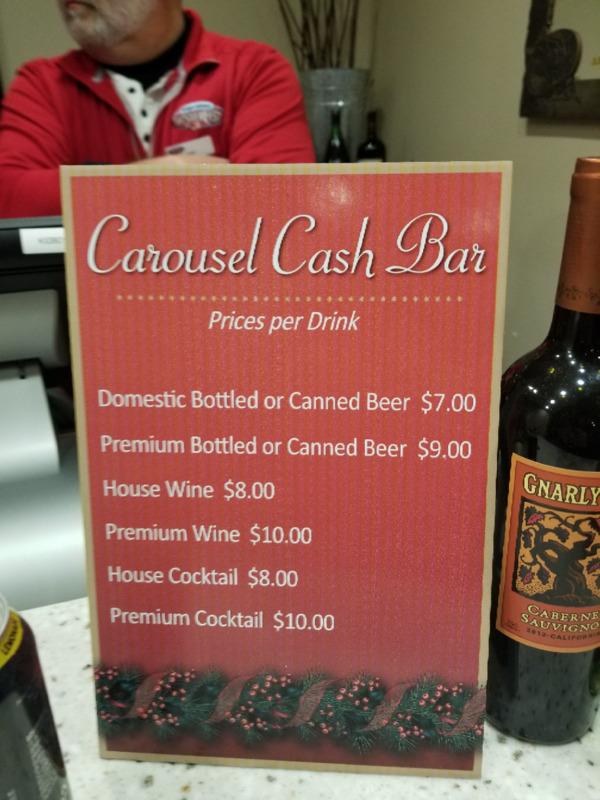 They also have a cash bar to the left at the top of the stairs! ^^ Awesome yes thanks so much! At least this year you can't buy the buffet online so maybe its less likely to sell out. Planning on going tomrrow or next sunday. I assume the bring a friend tickets can be purchased at the gate not just online? Online doesnt really say. And can you get into International Street shops early at 430 on Sunday's also? ^ Bring-a-friend tickets are available at the gate on the select Sundays they're available, and International Street shops open 30 minutes prior to the park opening (4:30, or 3:30 on Saturdays). Thanks so much @malem ! It appears that you can now buy meal tickets for the International Street Buffet on line in advance...plus they block out the dates that it is a corporate event. That’s good news for anyone going in the future, but a day late and a dollar short for me and my family. We just got back from our yearly Winterfest trip...only to find that it was a corporate event on both Friday & Saturday. Did you try Reds buffet? Two of my family members did, and liked it...but not only was I mad* at that point, I really only wanted "the view" and not the food. *So why was I mad? We arrived at the park at opening on Friday to be greeted with the "Not available/ corporate event sign"...so I decided to politely tell Guest Relations how I felt about this. I talked to what appeared to be a knowledgeable older gentleman. I explained that we come from Illinois, only make one trip to Winterfest a year...but we do come two days in a row. 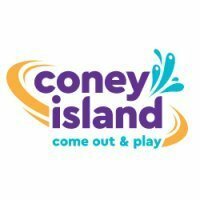 I explained what is a common complaint here...to arrive at the park and not know if the experience will or won't be available. He apologized for the situation. I then told him that we would be back tomorrow/Saturday night and asked him if it would be available to the public., he said YES, there was no corporate buy out. We arrive Saturday to find it was a corporate sell out. I was more than mad...so mad I didn't even want to go into Guest Relations at that point....I waited until the end of the evening and told them what had happened. 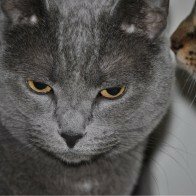 This time I talked to a younger guy. He is the one who told me that the policy had changed...they were now making it clear on the website if it was going to be available to the pubic....according to him they updated the website at midnight Friday night. Of all the nights to have bought out..
Do passholders get early entry for winterfest? Passholders don't get early ride time, but turnstiles and International Street shops open for all guests 30 minutes before the park during Winterfest. Looks like I was beat by mere seconds posting this. Food operations is still a bit frustrating, with the Chicken Shack having to pull security guards in one night to hand out food. I did have the roast beef at the Smokehouse and it was delicious and there was no wait. 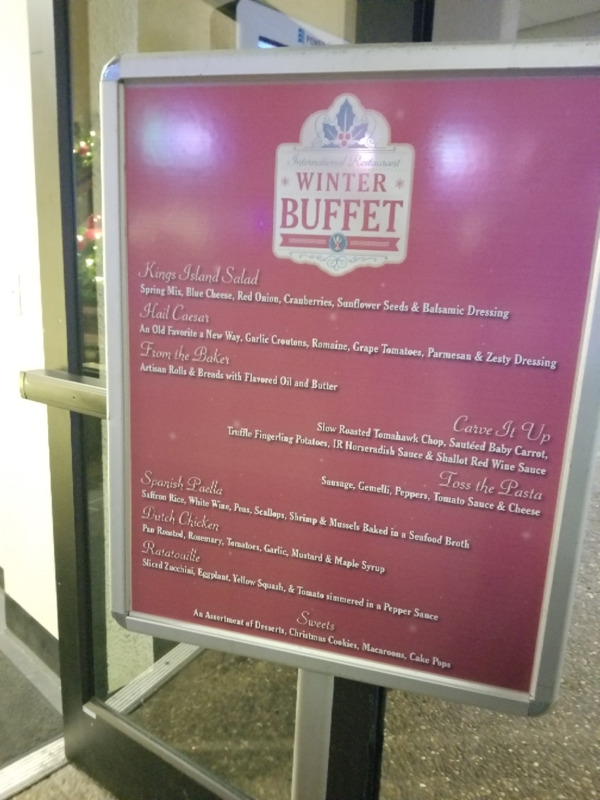 I had the buffet at the Reds Hall of Fame Grille (I-Street was closed that night) and was surprised by the quality of the food. We got there when it opened (which was about 5:45 for some reason... can we put up a sign and get consistent with our opening times, please?). The turkey was juicy. The ham was perfectly cooked, especially on the ends and the maple glaze was very tasty. The mashed potatoes were out of this world and I didn't mind the bag of cookies, though I did think it odd that they made the poor cashier hand those out on top of all the buttons he had to push (seriously, it was like he was entering launch codes for NASA just to ring me up.). Oh! And the hot chocolate - from the places that can get it "from the tap" (instead of a bucket) is pretty great... especially back on the path to Winterfest Way where she gave me marshmallows, whipped creams and chocolate sauce. I can't wait to see what's in store for next year's event now and I am hopeful that they are learning about how much people enjoy Entertainment offerings in the park and will increase that budget back to the days when we had 5 or 6 quality shows (at least).